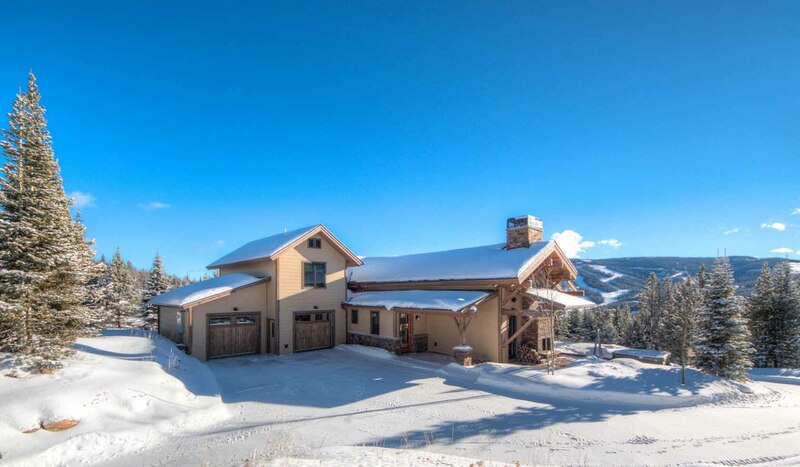 4 Bedrooms, 3.5 Bathrooms, Occupancy 12, Ski In and Ski Out Access Views, Views, Views! This stunning, clean lined and modern home will blow away your expectations. Enjoy a private wooded setting with stunning 360 views and hot tub on the deck. This brand new custom home features immaculate interior space with sumptuous tiled baths, rich draperies and new furniture throughout. Sleep easy knowing that this home is environmentally and green energy conscious with its Geothermal HVAC and LEED Platinum Five Star Plus rating (Significantly lower carbon footprint than a standard rental) The kitchen is a cook's dream and the open floor plan makes enjoying time together a snap. Designed to perfectly accommodate 2 families or groups up to 12 this is a home that you will want to return to year after year!